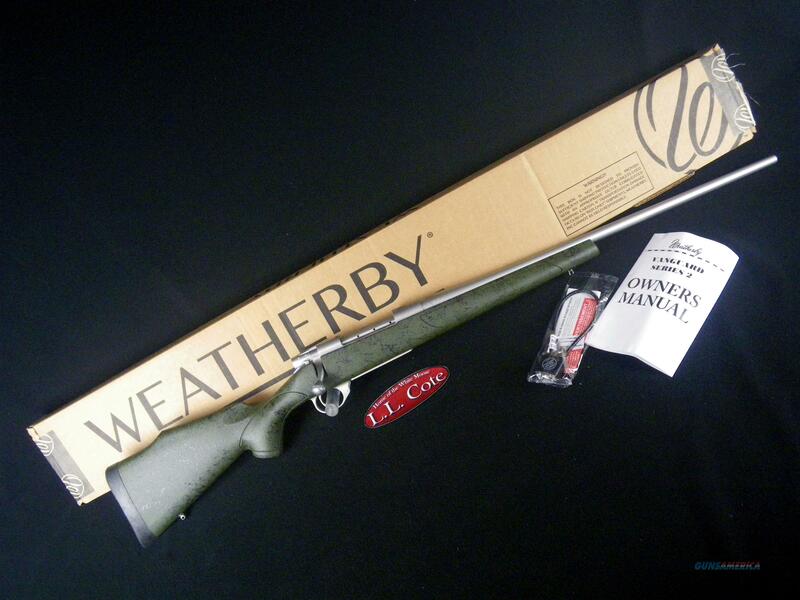 Description: You are bidding on a Weahterby Vangaurd Weathergaurd in 300 Wby Mag with a 24" barrel. The U.S. Postman’s creed, with a few little changes, is me in a nutshell: “Neither rain nor snow, nor sleet nor dark of night shall stay this rifle from the swift completion of my appointed rounds.” As my name implies, I am fully guarded against weather – so you can take me into the nastiest environments without a single worry about how I’ll perform. My Monte Carlo stock is made of ultra-tough Griptonite® and all my metalwork has maximum protection with a great-looking Cerakote® finish. Now let’s go deliver some heat. Displayed images are stock photos. Any questions please feel free to ask (our phone number is in the additional information tab above).